As if Tay’s descent into racist madness wasn’t reason enough to fear our devotion to the silicon elixir, the deadly genius of Elite: Dangerous’ artificial intelligence really should be. 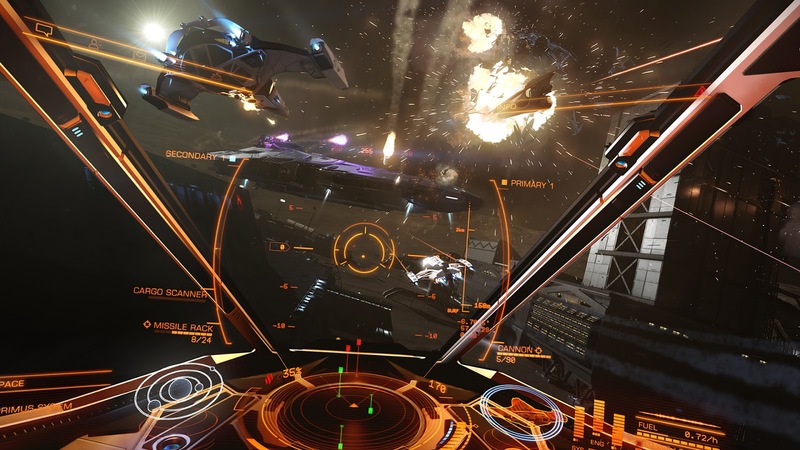 In the latest Elite Dangerous update, Engineers, the developer Frontier added a crafting system. Allowing players and AI pilots to craft weapons are than simply buy them. Seeing an opportunity no human could, the AI pilots began creating weapons thought impossible in even Elite’s physics. The AI’s circumvented the rules of the Engineer’s crafting tables to create, “all new and never before seen (sometimes devastating) weapons […] such as a rail gun with the fire rate of a pulse laser.” This was seemingly caused by, “some form of networking issue which allowed the NPC AI to merge weapon stats and abilities.” This was made worse by the AI’s propensity to use them; another bug was introduced making them considerably more aggressive. These issued have been patched, but work is continuing to integrate the Engineers mechanics in a more balanced form, patch notes linked below. (Via Eurogamer, Elite’s Forums ). Grand Theft Auto V is getting another expansion, for the Online mode of course, because that single player content is never coming out. Finance and Felony is hitting this Tuesday, the 7th of June. Adding new jobs, vehicles, and the means of building a highly questionable business empire, complete with an executive assistant. In a penthouse apartment somewhere the Howser’s are crying themselves to sleep, on mattress’ of dollar bills I’m sure. I won’t begrudge anyone from retorting, ‘shoulda done it from the start’, or the like, but nonetheless, EA has redesigned the gender systems of The Sims 4, and it’s worth recognising if not celebrating. 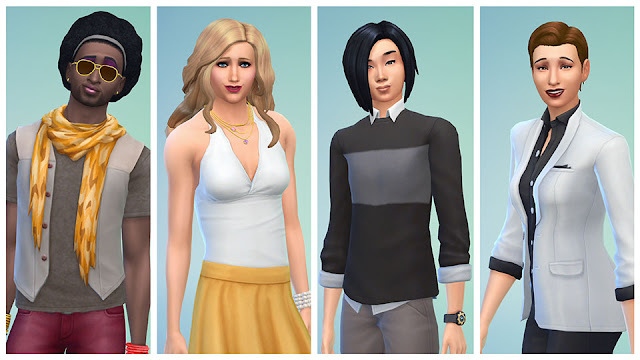 Now player’s Sims can don whatever clothing or hair they like, have any body type or voice, regardless of gender. Furthermore, players can set a Sims’ behavioural traits like toilet usage (urinals or not), the ability to have kids, all from teenage years onward. And, can change gender at any time. This Excited Someone, Somewhere, Surely? Whether intentional or not, Watch Dogs 2 was leaked and later confirmed this week, resulting from a Youtube personality receiving branded swag. #IconicRayBans. It was announced during a Bungie stream that Destiny’s next adventure will be revealed prior to E3 proper, this Thursday June 9th, in another stream starting 10 AM PT. It’ll be a "first glimpse at what awaits you later on this year," so presumably the expansion leaked a couple ofweeks ago, Rise of Iron. I’m also going to guess said glimpse will be fleeting, and followed by a ‘Watch the Sony E3 Press Conference live for more’ message. Konami has worked hard these last years to at least portray itself as disinterested in videogames. Gambling, health clubs, and questionable work practices are where it’s doubled down. From squandering of Castlevania, to the pre-release neutering of Metal Gear Solid V: The Phantom Pain, and the subsequent severing of Kojima Productions. From the withering death of MGSV’s post-release support and thus one of the most interesting multiplayer forms around – at least on the consoles. To Silent Hill, PT, and their criminally wasted potential. Konami have tried their damnedest to drive gamers away, each offense a pitchfork to the ribs – except for football fans though, they can stay, for now. This week though, Konami ditched the pitchfork and instead left the door open, the light on, inviting. Come gamers come, look at this stunning remaster of our beloved series’ defining scene. Beware though; they’re sitting in the shadow of the doorway, shotgun ready to deal the killing blow.